It’s time for another Adobe Photoshop video tutorial “quicky”. I went thought my reader email bag and had quite a few of you wanting to know how to fix the color issues when saving images from Photoshop. The main complaint is that saved images, when viewed on the computer or the Web, look more saturated then what you see in Photoshop. Basically you’re asking: a) why is it that the saved image is more saturated? and, b) is there a way to adjust Photoshop to see the correct colors before post processing? I would like to thank you for your tutorial suggestions. Please keep them coming! 11 responses on "Photoshop Video Tutorial - Color Management for the Web"
Hello, thanks for the great video. Though I have a question. I hope it’s okay to post it here? The tutorial is not exactly working out for me. I use Photoshop CS4, and tried to do the same thing that your tutorial (and other tutorials) say about the color management. 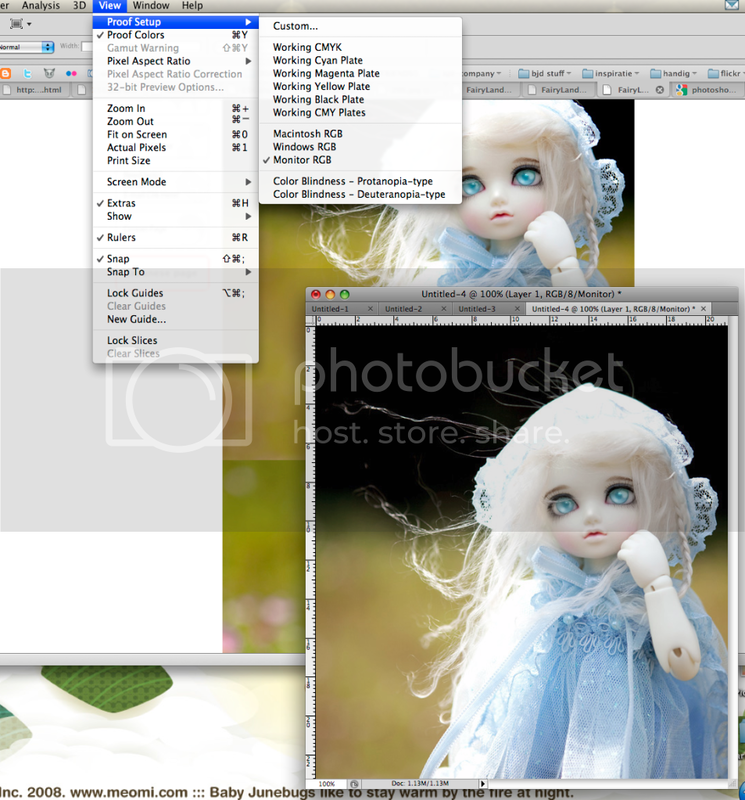 The background shows the original image, and on the foreground you see the copied image from the web, loaded in photoshop. Is there something else I should do that I am overlooking? I hope you can help me, this is really a problem at the moment. How do you do this in Photoshop Elements? Thank you soo much Yanik. I have wanted an answer to this for such a long time. Great site too! I’m using Camtasia for my recordings. really nice tut! keep up with that! What program are you using when you record? I found something out that I though i’d share. It is quite stupid, but when i tried saving for web after doing the steps descibed here, I stil ended up with different colours for the end jpeg. I found out that the “Convert to sRGB” option was checked in the “Save for web and devices” dialog (my usual way to save pictures for the web. After unchecking this option everything was back to normal and both images had matching colours. Thanks for the great tutorials and links. all d tutorials are really nice continue yanik……….. This is every photographer’s nightmare when you consider that each monitor is calibrated differently and each printer prints differently. If you’re just using your personal printer or a specific photo lab to print, get one print with lots of colors and tonal ranges and manually adjust your monitor to match it. Make sure your in a brightly lit room when doing this. You could also use Photoshop, but I’m not very familiar with color profiles since my monitor is calibrated for my photo lab. Since I use a monitor calibration tool, I have 2 profiles saved. One for Web and one for print and I switch when needed. Thanks for the video – very interesting. Is there a setting in Photoshop that helps to get your print to look like what is on the screen, without buying expensive color calibration tools? Wow that’s strange.. I’ve never noticed that in PS6. It seems totally unreasonable to have to do that every time you view an image!! What were Adobe thinking? I’m going to guess some people will be suffering with monitor calibration colour profiles and their workflow. I know that was a major hurdle for me – colour matching between the Canon software and Photoshop. And I didn’t even know about the proof colours thing!